You’ve been watching your weight for months now — you’ve even started to eat a healthier diet, but you can’t quite figure out why the scale won’t budge. One of the reasons could be your favorite “#health” foods, which could be more appropriately named “stealth” foods because of all the calories and fat in each serving. How many times have we grabbed some trail mix, dried fruit or a nice big bran muffin, thinking that we’re sticking to our weight loss program? Although these items may appear to be healthful (“Well, they ARE sold at health #food stores!”) it’s important to realize that many of these foods are deceivingly high in both calories and fat. Remember, just because a food item is marketed and sold as “health” food doesn’t mean it’s good for losing or maintaining weight. It’s not easy to decipher what foods are going to keep off the pounds. Granola, carob chips, and even a handful of nuts sound like great choices, but they are loaded with calories and fat. A general tip: Always read the food label and look at the serving size. So when in doubt, use the “buyer beware” strategy BEFORE you get a craving and just reach for the first apparently “healthy/low calorie” #snack on the shelf. Brace yourself for the shocking truth! Although loaded with “wholesome” ingredients like bran, apples, and oats, muffins have taken on the false role of a health food. In reality, muffins can be no different than having a piece of cake! 1 large muffin with fruit or nuts (3 1/2 inches in diameter): 393 calories, 9.2 g fat. 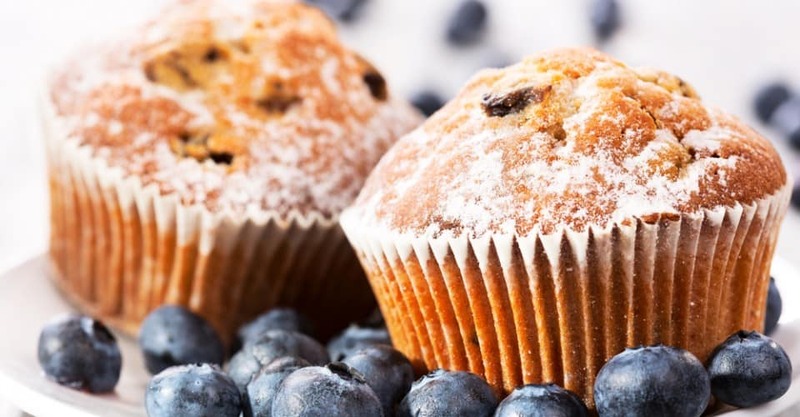 Even low-fat muffins have about 370 calories, although they can be lower in fat content. While yogurt itself can be a nutritious, low-fat power snack, beware of these candies in disguise! 1 cup yogurt covered peanuts: 921 calories, 73 g fat. 1 cup yogurt covered raisins: 750 calories, 14 g fat. 1 cup yogurt covered pretzels: 392 calories, 14 g fat. You better be burning as many calories as the hikers and climbers who rely on “gorp” if you want avoid a bigger waistline from this stuff. 1 cup trail mix: 707 calories, 47 g fat. 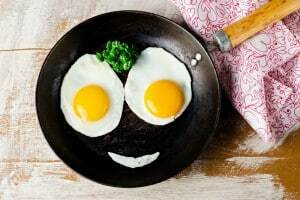 It seems like this breakfast staple would be the most healthful meal to wake up to, but it’s actually packed with calories. 1 cup granola: 570 calories, 30 g fat. Even low-fat granola can contain as many as 427 calories and 6.5 g fat. If eaten in small servings, nuts are very healthy — but how many of us eat only 3 to 5 nuts in a sitting? 1 cup almonds: 810 calories, 71 g fat. 1 cup soy nuts: 560 calories, 28 g fat, 1 cup peanuts: 854 calories, 72.5 g fat. 1 Think Protein Energy Bar: 270 calories, 9 g fat. A Snickers bar, just for comparison, contains 280 calories and 14 g fat. That’s not a very big difference at all. The Chex mix that is sold at stores is chock full of fat, calories, and sodium. 2 cups Chex Mix: 386 calories, 12 g fat. Banana chips are actually no better than potato chips, simply because they are fried. In turn, any dried, sweetened fruits are high in calories because of the high concentration of sugar. 1 cup banana chips: 264 calories, 4.7 g fat. 1 cup dried apricots: 244 calories, 2 g fat. 1 cup carob chips: 934 calories, 54 g fat.